Ecommerce is quickly becoming one of the most popular ways to earn money from home.? The online market is booming, and ecommerce sales are showing evidence of unprecedented growth. So you?ve decided to jump on the bandwagon. You?ve trudged through the many steps to starting an ecommerce business, and all of your ideas are in place. However, if you?re finally at the point of putting your shop online, you?re very likely facing a huge decision. Which platform should you use to put your business online? The answer to this question is, unfortunately, not simple. It largely depends on your personal circumstances, your preferences, the size of your business, etc. However, choosing the right platform for you can save you a lot of time, energy, and frustration. So, how can you decide between the hundreds of platforms available to you? This article is not a guide to tell you which platform to use. Instead, I?d like to show you the pros and cons of two of the most popular platforms, detailing their advantages and disadvantages. Then you?ll be more prepared to pick the platform that best suits your needs and wishes. As one of the most well-known blog hosting and website builder services, WordPress is a great choice for an ecommerce business. Since they?ve been around the block a few times, the intrepid workers at WordPress are constantly coming up with new and fantastic ways for people to get the most out of this platform. Price?Although other platforms charge you on a monthly basis for use of their system, this is not the case with WordPress. In fact, if you?re just interested in using the base features of the platform, then the only thing you?ll need to pay for is the domain and hosting (more on that below). Plugins?This is truly one of the best features of WordPress. Since the platform is open source, programmers and coders are welcome to bring their ideas to the table in the form of plugins. These handy tools can then be installed to anyone?s website! At this moment, there are over 48,000 plugins in WordPress?s plugin directory, and many of these are free. You?ll find pretty much anything you could possibly need, including all of your ecommerce wishes. Flexible Design?Designing a webpage using WordPress?s website builder gives you a lot of freedom. 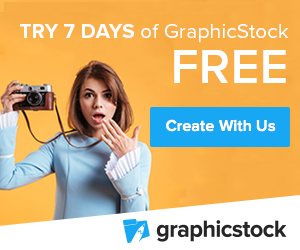 Free of charge, you have access to thousands of themes. If you?re looking for something with more features or support, there are also many paid themes that provide you with what you need. Programmers Welcome?As mentioned above, programming wizards are welcome to come and create within WordPress, thus being able to customize their own websites and/or provide customization for others. Compliant with Different Hosting Providers?Since you will need to purchase hosting, WordPress has made it very easy to integrate their website builder. In fact, many hosting providers allow you to connect WordPress to your domain with just the click of a button. Google Analytics for All Sites?You really should?integrate this incredible tool into your ecommerce website. ?Integration with Google Analytics?is available free of cost for any WordPress site. Multiple Payment Support?If you want to offer your customers multiple payment options, then WordPress will definitely let you do it! WordPress easily integrates with PayPal, CCAvenue, Worldpay, Google Checkout, and more! Community Support?The WordPress community is an ever-growing network of people from all backgrounds. If you?re looking for help, support, or advice, then this community will be happy to come to your rescue! Security Scares?In the past, WordPress has had some security scares regarding hacks to their websites. This is obviously a huge problem. However, if you take care of your site and include security plugins such as Securi or Wordfence, your site will most likely not be affected. Buggy Plugins?Letting anyone mess around with programming is a great idea? as long as they?re experts. However, you?ll find that some of the less noble plugins might have a few bugs. 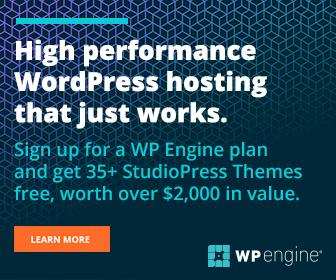 Hosting at a Price?WordPress itself offers hosting for $99 a year. However, this is not your best option, nor is it the cheapest. I highly recommend looking to someone like BlueHost or?SiteGround, which offer very budget-friendly plans starting at around $4 per month. This and other hosting sites allow you to connect your WordPress account very easily, thus linking all of the best features. Pro Tools at Pro Prices?If you want to get full access to WordPress?s premium features, you?ll have to sign up for their Business plan, which is about $25 per month, billed yearly (which means $300 per year, in reality). Not a Dedicated Ecommerce Platform?We know this already, but I just want to make it clear. You will expend a lot of effort in trying to find the right plugins and get your website set up specifically for ecommerce, while a dedicated ecommerce site would already have those things set up for you. Better for Small to Medium Ecommerce Sites?Reading up on different people?s experiences using WordPress for ecommerce, you will find that many people reached a point when WordPress was just too small for their business. In that case, they needed to then take their website to a dedicated ecommerce platform. This is obviously a huge hassle, and not something that you want to get stuck with down the road. Now that you have the good and the bad all together, it?s time to think about your preferences and your business goals. Do you foresee your business expanding to sell more than a few dozen products? Are you patient enough to learn how to use WordPress?s web builder? Can you find a reasonable hosting site and take advantage of WordPress?s free features? How tech-savvy are you? Can you program your own plugins and truly customize your WordPress experience? This company has been around since about 2006, and although it is not as well-known as WordPress, it is certainly becoming a top contender in the world of website building. Another all-inclusive sort of website builder, Wix is known for its incredibly easy to use and learn user interface. The company, although disliked by some marketing experts, is truly geared towards the needs of the less tech-savvy business creators. For ecommerce entrepreneurs, Wix is a great option. The free plan on Wix gives you access to their drag and drop editor, 500 MB of storage, and free hosting. However, you?ll still have Wix adds, and your domain will include ?wix.com? along with your chosen site name. Easy Set Up?Setting up a website on Wix could take you no more than a couple of hours. After that, you?re already online and running! Simple to Use?Wix?s simple user interface keeps people coming to this platform. If you?re not into tech and you?re not interested in deep customization within the programming, then Wix is a great option. You can easily set up and run your website, add new content, and more! When you start with Wix, you?ll have access to lots of different templates and guidelines, and the website builder comes with easy instructions as you work. Drag and Drop Design?Wix?s website builder uses a drag and drop design, letting you take the individual features and set them on the page wherever you would like. This is great for those who really like to customize the look of their site without worrying about programming hassles. 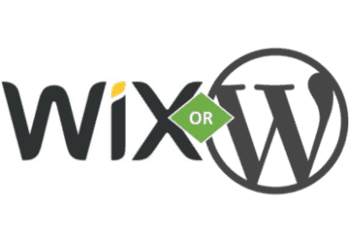 Free Apps?While WordPress has plugins, Wix has apps. Since Wix is not open sourced, these apps are all created by the company. There are over 500 apps that you can use (for free!) to improve your site. SEO Help?Wix provides users with lots of helpful SEO tools. In their free SEO app, you can get help with keywords and find other ways to increase your search engine ranking. This is extremely useful for those who are unfamiliar with SEO. Payment Support?Although Wix doesn?t work with many payment options, they do include some of the most popular, including PayPal and Skrill. Tax and Shipping Already Calculated?Wix?s ecommerce bundle really does wonders for you, including calculating shipping and tax costs at the checkout so your customers don?t have to wonder. Google Analytics with Premium Plans?If you?re looking to integrate this incredible tool into your ecommerce website, then definitely take a look at one of Wix?s premium plans. Integration with Google Analytics comes with every premium plan available on the site. Save by Paying Ahead?Premium plans may seem a bit out of your price range, but there are some hefty discounts available if you pay the year in full instead of paying each month. Advantages of Being All-Inclusive?Since there?s no third-party being dealt with, Wix truly does have some advantages. For example, whenever you have a problem with your website, just talk to Wix and they can solve it for you. No need to trace the cause of the problem through different sources. Also, since your website is hosted and designed through Wix, you have access to all of their security features. No More Playing with Codes?Programmers and tech-savvy business operators beware: Wix doesn?t let you tinker with the code. Since it is designed as a simple platform for those who don?t know programming, this can take some of the fun out of customization. Not Meant for Big Ecommerce Businesses?Even Wix?s site says that their ecommerce plan is meant for small businesses. So if you?re looking to grow your company into a large ecommerce business, Wix may not be a good option for you. No SSL Certificate?This means that when customers check out on your store, they will be redirected to a secure site for payment. Although this is completely secure, the redirection may scare customers away. Ads, Ads, Ads! 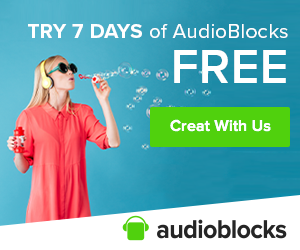 ?The free plan and the cheapest premium plan both put Wix ads into your site. If you want to get rid of these ads, you will have to pay. Not So Mobile Friendly?While many of Wix?s templates are perfectly compatible with mobile devices, many templates are not. Make sure to check in the mobile viewer when building your website to see whether or not your designs transfer easily to a mobile site. Otherwise, you?ll be losing customers. Wix, although it has been around for over 10 years, is still making changes. They?ve just gone through some major improvements, and so far things are looking good! This platform is simple, elegant, and incredibly easy to use. Again, it?s time to ask yourself some questions. Are you looking to grow your ecommerce business beyond Wix?s capabilities? Are you a programming geek who would be held back by their simple interface, or are you rejoicing at the idea of not having to learn how to code? Obviously, these are just two of the many ecommerce platforms that we could talk about. However, both Wix and WordPress have some fantastic features for those who are looking to start a business online. My advice is this: if you?re someone who likes a lot of options, is interested in programming, has patience to learn new things, and likes to customize every detail of your website, then WordPress is for you. However, if you?re the person who prefers to let the website build itself and are more interested in creating eye-catching designs, then stick with Wix. Either way, the decision is up to you. Now that you?ve seen both sides, you?re more prepared to choose the ecommerce platform that makes the most sense for you and your business.